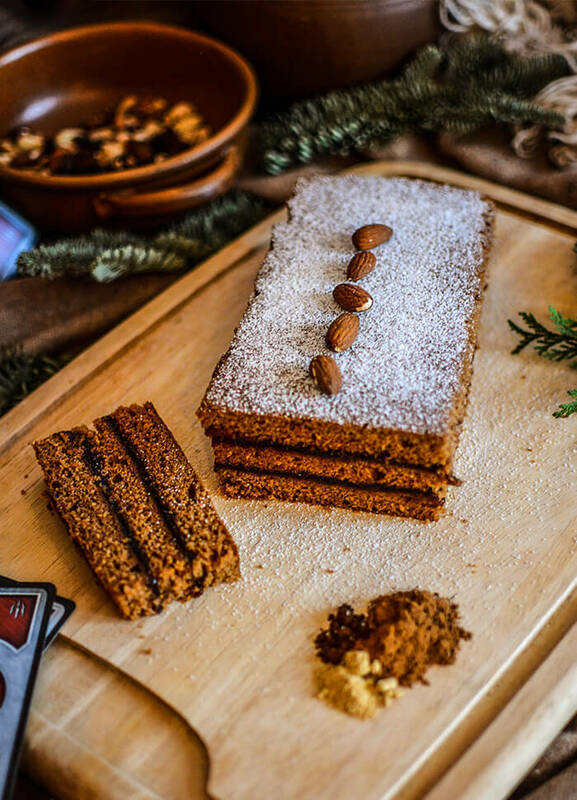 Holidays are coming so if you want to smuggle some Witcher-style food into your table, it's high time to make a dough for a maturing honey spice cake from the Ra’mses Gor-thon recipe! 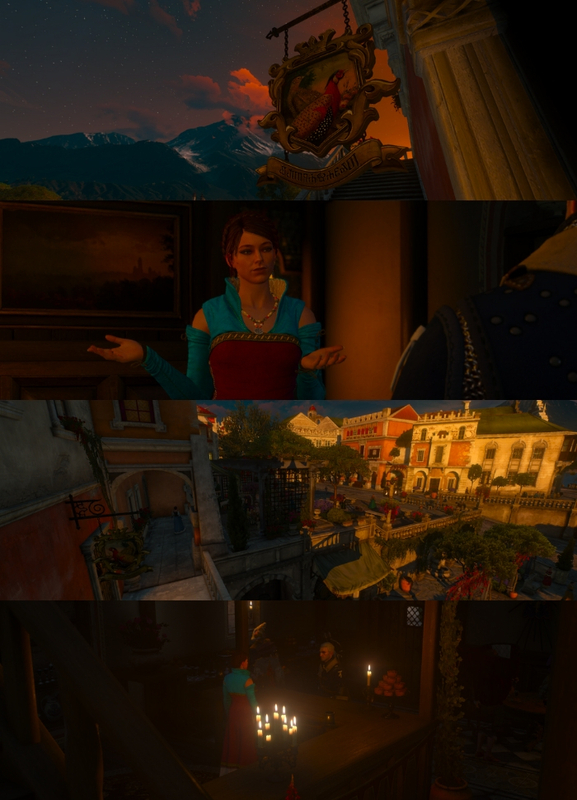 The recipe for long-maturing gingerbread appears in Blood and Wine DLC during the Spoontaneous Profits! mission. When we reach the legendary cooking studio of famous Toussaintois cook Ra’mses Gor-Thon underneath the Danamebi Temple Ruins, we find a treasure that contains three recipes for exquisite dishes, including a honey spice cake. 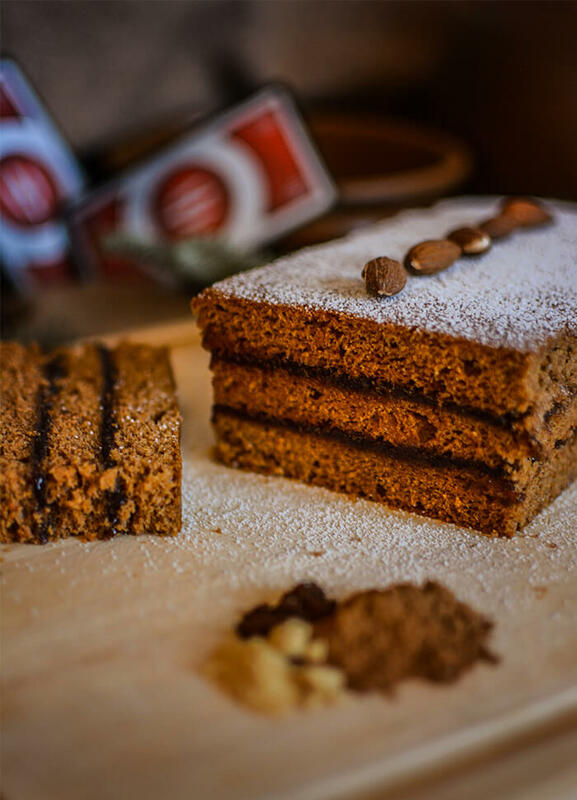 The recipe is similar to the traditional recipe for Old-Polish gingerbread, although it indicates only a few days of maturing during which the dough must lay in a cold place. 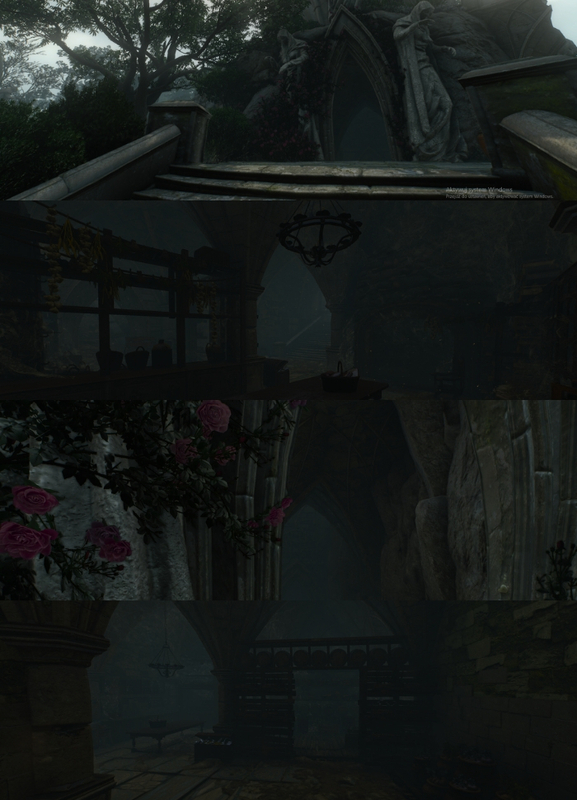 However, we will stick to the advice of Master Mirror regarding the production of this delicious cake from the Heart of Stone DLC and we will mature the cake for at least two weeks. In the Polish version of in-game recipe Old-Polish measures were given, such as a quart (in the English version of the game we are given the division into cups) - we translated them into common units and divided them into three. Thus, the given ingredients are enough for one, long gingerbread. Of course, if you want, you make the bigger portion as it is given in the recipe. The dough is a bit more wet than traditional gingerbread, but the final result is amazing. Your Holidays table should definitely feature this honey spice cake! According to the recipe, we should use buckwheat honey - such kind of honey is characterized by an interesting, spicy taste and is ideally suited for baking gingerbread. However, you can use ordinary multifloral honey, then the color of the gingerbread will be paler, and the taste slightly less specific. As for flour, spelt flour gives a nutty aftertaste, but it is not widely available - you can replace it with wheat flour, preferably all purpose mixed half and half with wholemeal. A mixture of wheat and rye flour should also do the trick, but we didn't try this option out. When it comes to a mix of Zerrikanian spices, you can take the shortcut and buy ready-made gingerbread spice. However, we sincerely recommend making your own. The proportions of spices given are our favourite, but you can experiment and change them according to your preferences. Not all of them are also obligatory - all you need is ground cinnamon, cloves, ginger and allspice. SUBSCRIBE TO OUR FACEBOOK EVENT - We all bake honey spice cake for Xmas! Heat the milk, honey and butter to a simmer over a low flame, then let cool until lukewarm. Add flour, eggs and salt. Work vigorously until light and very sticky, then put in a clay pot. Cover with a cloth and leave in the cellar for a few days. Before baking, take from the cellar and leave in a warm place. Split into 3 equal parts and work each with a rolling pin. Bake each part separately in a hot oven for 20 minutes. Tastes great with plum marmalade. Heat the milk, honey and butter to a simmer over a low flame. Take off the heat and let cool until lukewarm. Add flour, egg, a mixture of zerrikan spices, a pinch of salt and baking soda. Mix everything vigorously until light and very sticky. Pour the mass into a clay pot or metal bowl, cover with a cloth and leave it in a cold place - to the basement or fridge for at least 2 weeks. The longer the dough is matured, the better. Your dough should mature and acquire the proper taste during at least 2-3 weeks. So it's time to bake them! Before baking, take dough from the cellar or fridge and leave in a warm place. Mix and place the dough on baking paper lined with baking tray. Spread dough to a thickness of approx. 1 cm on a one big tray. Put the dough into the oven preheated to 170°C/325°F (top and bottom option) on 1/3 of the height. Gingerbread should bake about 15-20 minutes. Control the color of the gingerbread during baking - a cake with the addition of honey may be quickly burned. Take out the baked gingerbread of the oven and cool it down. Level the gingerbread edges by cutting them off with a knife. Carefully remove them from the mold. Spread plum jam on two of the parts of the cake. Put one part with a jam on another one and cover with the third, plain one. Cover the gingerbread with paper and weight it with a large, wooden board on top. Leave the cake for a day in a cool place to let flavours blend.